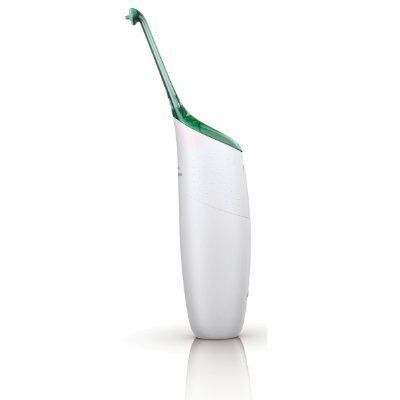 This link will display all water flosser reviews. Avoiding plaque buildup can be difficult – string floss can be difficult to manipulate, especially if orthodontics or other dental work gets in the way! Over the last few decades high-performance water jets have been supplementing traditional flossing, and making a big impact in the amount of plaque and bacteria removed from users’ teeth and gums. Unfortunately, many of these devices are too large to be truly portable – they require a certain amount of counter space as well as a conveniently located electrical socket. These constraints are rarely issues at home, but can become issues when traveling. Thankfully, portable water jets such as the battery-operated Conair Interplak Dental Water Jet ensure that users will be able to be confident in their dental hygiene whether they are at home, work, or traveling the world. Who is the Conair Interplak Dental Water Jet Intended For? This model is ideal for anyone who is often on-the-go. The only power required for the Interplak Dental Water Jet is three AA batteries – easily purchased almost anywhere, ensuring that you will never be left stranded. Using a device like this is recommended for most people – using a water jet does not replace string floss, but instead complements it, as the two methods achieve plaque-removal in different ways. However, those with orthodontics, sensitive gums, or other dental modifications may find this item especially beneficial. The device itself sells for a suggested retail price of $32.99 USD – well within the budgets of most individuals, especially given the importance of good dental hygiene for overall health. 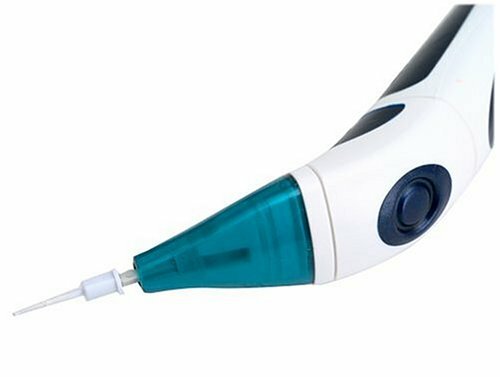 What are the health benefits of using the Conair Interplak Dental Water Jet? There are many health benefits associated with the increased plaque and bacteria removal facilitated by using an electronic water jet as part of a daily tooth-care regimen. By focusing on the spaces between teeth and just below the gum line it is possible to reverse gingivitis and prevent gum disease and cavities. While other, larger, models are more effective in these respects, the portability of this model allows for this more extensive dental cleaning to occur no matter the user’s location. By facilitating regular water jet cleaning in even the most frequently traveling individuals, this smaller battery-powered model ensures that bacteria and plaque are removed even during vacation. What sets the Conair Interplak Dental Water Jet apart? The Interplak Dental Water Jet is unique in its portability and ease of use. Its design prioritizes functionality and portability, resulting in a minimalistic product with a sleek design. The price of this model, as well as its reliance on easily-replaced AA batteries make it hard to beat for effectiveness. A limited single-year warranty is also included in this price, as are two color-coded jet tips. Without the bells and whistles that are often found on the more expensive outlet-powered water jet cleaners, the Interplak Dental Water Jet is very self-explanatory. It offers two different power settings for the water flow (high and low), which are easily switched between on the handle of the mechanism. The reservoir has an open top and water-level markings, making refills and cleaning a breeze. The hose for the Interplak is three feet long, giving the user plenty of freedom with their movements. An easily-accessed on/off switch is prominently located on the body of the machine. The main compartment of the machine is cleverly designed to hold the extra tips and the hose – especially handy when traveling! How do customers feel about the Conair Interplak Dental Water Jet? The Interplak Dental Water Jet receives mixed reviews from users. While the initial price of this product is very attractive, users note that it goes through batteries rapidly, which can add up over the passing of several months. Additionally, as the batteries wear it is common for the Interplak’s pressure to reduce noticeably, which can be an issue for those who want a reliable clean every time. One solution to this problem is to invest in rechargeable batteries and a charger for them – this can greatly decrease the cost associated with using the Interplak Dental Water Jet regularly. Users have also found that the water stream is considerably less effective than full-sized models. This means that while the Interplak Dental Water Jet is useful at times when it is impractical to have a full-sized machine, it may not be the best choice for every-day use if you hope to see significant results in your dental health. Other users found that after several months of use, some of the compartments (including the battery compartment) may not close as firmly as you may desire. When compared to other models in a comparable price range, the multi-piece design of the Interplak Dental Water Jet holds its own, especially as it greatly decreases the amount of work required to refill the water reservoir or to clean the unit. The unit itself is definitely tiny enough to pack in a suitcase, and the use of batteries instead of a wall-outlet means that it can be used even in countries with a different power system than your own. The decreased size does mean that the reservoir may not hold enough water for a thorough cleaning – some users suggest leaving the reservoir under a slowly-running tap for the duration of your tooth cleaning in order to ensure that you are not interrupted. Certainly, as a way to test out your personal interest in water jet products or as an accessory for travel, the price for the Conair Interplak Dental Water Jet can’t be beat, and the results are more than satisfactory. As well, while the size may seem awkwardly small for an adult to use regularly this may be an ideal way to help your child maintain their dental health – the smaller size is perfect for tiny hands. Taking care of your child’s health is obviously one of your biggest priorities, but taking care of their dental health may not be as high on your priority list. After all, especially when your child still only has their baby teeth, it may seem like there is no more to it than making sure they brush their teeth before bed and doing a touch-up job if you need to. Unfortunately, it is a little more complicated than that – oral health is incredibly important for children, and keeping plaque and bacteria away from their teeth and gums needs to be a priority! This can be difficult to accomplish with children, especially as it can be difficult to make sure that they brush properly or brush long enough. Adding an electric toothbrush made specifically for children (adult ones are often far too strong and/or complicated for them to be safe for a child to use) is one excellent way to make sure that you are doing everything possible to keep your child’s teeth healthy. This article will compare three of the leading electric toothbrushes for children in order to help you make a decision about the product that is the best fit for you and your family. Philips is one of the most trusted names in dental care, and for good reason! Their ‘For Kids’ electric toothbrush sells for a suggested $69.99, though you can get it for up to $20 off on Amazon. It has many features that are present especially for children. The toothbrush itself is available in several bright colors, and has interchangeable panels that allow for individual customization! One of the best parental features included is the ergonomic handle that allows parents to brush their child’s teeth with the child also holding on to the handle. 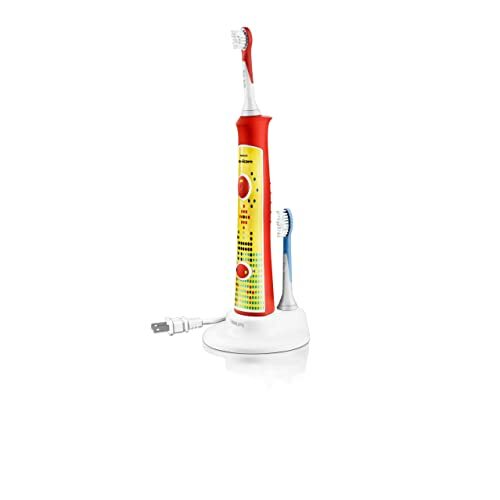 The Sonicare ‘For Kids’ goes above and beyond with transitioning children into the use of an electric toothbrush, as it includes a ‘KidTimer’ that slowly increases brushing time over a period of 90 days until it reaches the 2-minute mark recommended by most dentists. A ‘Kid Pacer’ is another added feature that uses fun sounds to help children pace their toothbrushing throughout the two minutes. The toothbrush stops automatically, so there is no need for a parent to be watching the clock! Lastly, the toothbrush also has two different power modes – a softer one that can be used by children four and older as well as a slightly faster mode for children over seven. Oral-B is the number one recommended toothbrush brand worldwide. This model is targeted at children over the age of eight, and comes in two colors. Each unit sells for around $30 if you pick it up from Amazon, and comes with two Sensitive Clean toothbrush heads that are specially designed for the users’ smaller mouths. Other Oral-B brush heads are interchangeable with the body of this toothbrush, but the smaller ones included are often better for the care of orthodontics. All of the brush heads are made with Indicator Bristles that indicate when 3 months (the recommended life of a brush head) have passed. The interface is very simple – one button turns the toothbrush on, and another turns it off. The ‘For Me’ brush is rechargeable, and only uses a small base for charging – meaning that it will not add to the clutter on your pre-teen’s bathroom counter. A simple two-minute timer is another added feature that works to improve your child’s dental care routine, as the toothbrush automatically turns off after the two minutes have passed. Some users have found that the single speed provided on this toothbrush may be too fast for those who are not used to using an electric toothbrush. 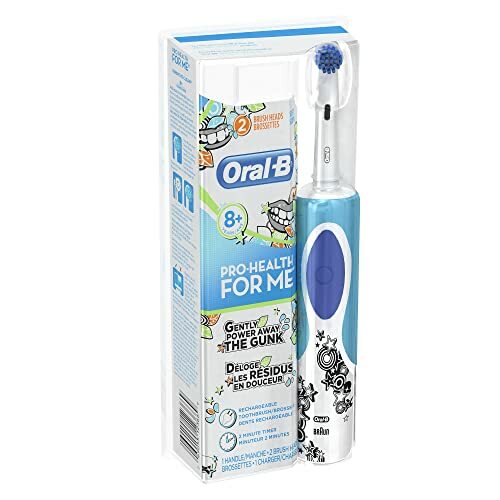 Aside from their toothbrush targeted at pre-teens, Oral-B also offers a simpler design that is much easier on the gums for their younger clients (targeted at children ages 3 and up). This toothbrush retails for the very low price of just over $6 on Amazon.com. With this much lower price comes much simpler offerings. This toothbrush is designed to appeal to children, and the designs are fun and often feature beloved characters from popular children’s movies. The brand also offers matching toothpaste – definitely a gimmick, but it may help to increase your child’s interest in toothbrushing! The features themselves are very basic – a rotating head allows for some extra power when removing plaque and bacteria from between teeth and gums. The brush has been modified to include some raised centre-row bristles that are able to better fit between teeth and into chewing surfaces for an extra level of attention to detail when brushing. The toothbrush’s handle has also been ergonomically designed for children’s small hands. Unfortunately, the head and bristles cannot be replaced, meaning that these toothbrush will need to be re-purchased once every three months. In the end, these three options really are not in the same league and so your individual family’s needs are going to be what dictate your purchase. Obviously the Philips Sonicare ‘For Kids’ electric toothbrush is the top-of-the-line option, offering you an abundance of features to improve and maintain your child’s oral health. 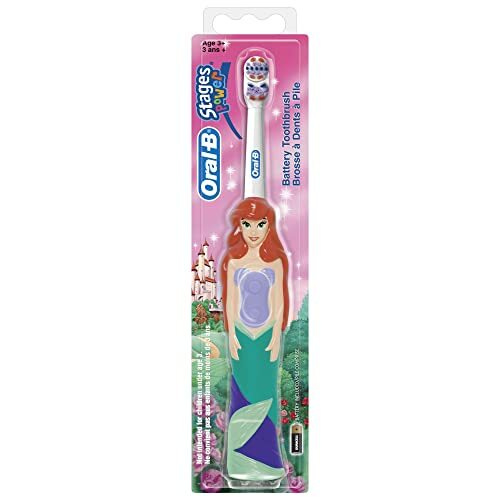 The Oral-B options are obviously divided by age, making comparisons between the two difficult – the low price of the Pro-Health Stages toothbrush is definitely attractive, and children will love the designs. The two-minute timer on the ‘For Me’ Pulsar toothbrush is an excellent way for preteens to exercise some autonomy over their own toothbrushing routine while still ensuring that they brush properly! 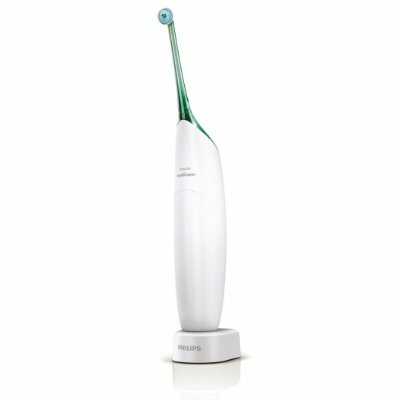 While the Philips Sonicare is the best option on the market, the more budget-friendly options will still be a significant improvement over the classic manual toothbrushes – your kids may not thank you for it now, but they will when they have excellent dental hygiene habits and healthy teeth and gums in the future! 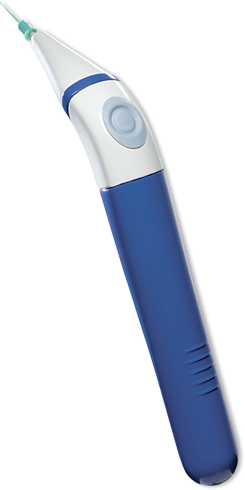 The FLW-110 power whitening flosser is Waterpik’s battery powered flosser that will floss your teeth easily and effortlessly, while at the same time brightening your smile. This is achieved by the 10,000 gentle tip strokes per minute that are generated by the device. Its innovative tips are mint-flavored and are coated with a unique whitening agent that helps brightening these tough areas between your teeth. A recent study showed that more than 80% of the participants when asked to state their preference between regular string floss and Waterpik’s power whitening flosser, they said they preferred the latter. The FLW-110 is used to remove food residue and plaque from between your teeth, where the toothbrush can’t reach and using string floss can be a hassle to handle. At the same time it removes stains from the surface of the teeth while helping to keep them whiter. Clinical data revealed that the device improves blood circulation in gum tissue, thus improving gum health overall. The product has an award-winning handle design, which makes it comfortable and very convenient for everyday use. It is compact and lightweight, so you can take it with you wherever you go. It comes with a pack of 30 disposable whitening power flosser tips. They are mint flavored. The package also includes two hygienic sleeves. You can get extra packages of the tips for just a few bucks from Amazon. Although the product seems like a good deal, it is not particularly popular with Amazon reviewers. 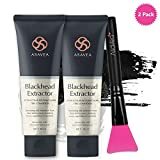 It is a few dollars more expensive than its non-whitening equivalent and this may be a factor contributing in having less than one hundred reviews. It has a 3.5 star rating overall, which is pretty good, though not outstanding. A common complaint has to do with the fact that the tip does not reach the back of the teeth because it is not long enough, so flossing the old-fashioned way is not eliminated. Many refer to the FLW-110 as complementary to flossing rather than a standalone device. The tips also bend quite easily so, although the device is not particularly costly, you will be needing replacement tips on a regular basis, which will raise the cost over time. 60% of users gave it a 4 or 5 out of 5 stars, though, so only look into the complaints so far. Most people are pretty happy with their purchase. It seems that people who like this most are the ones that disliked string flossing. If they didn’t make flossing a daily routine before, the fact that Waterpik provided them with the FLW-110 to make it easier is a big plus, so if you hate flossing but know you need to keep up on it, have a look at the FLW-110 Whitening Flosser. 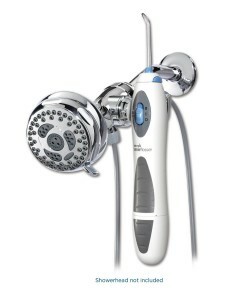 The Waterpik WP-480 Showerpik water flosser offers all the benefits of a regular water flosser while you are taking a shower. It removes plaque and food debris from deep between teeth and below the gumline where dental floss and brushing can’t reach; it gets rid of bacteria and improves blood circulation in gum tissue by massaging them, to prevent gingivitis and bleeding by using water pressure and pulsation. This exceptionally engineered combination is considered to be significantly more successful than string floss and air floss in improving gum health. 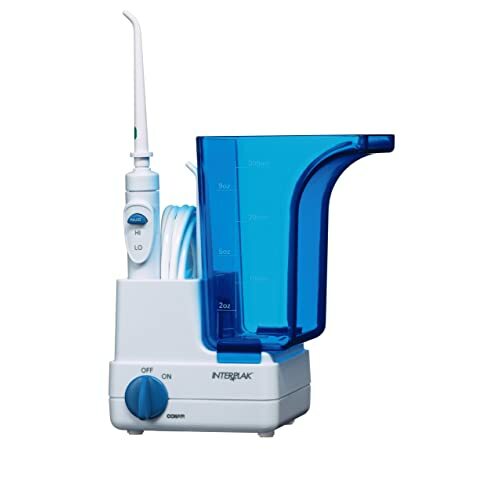 More specifically, it was shown in clinical studies that the Waterpik Water Flosser is the only kind that is considerably more successful than regular dental floss and Sonicare Air Floss in reduction of plaque, as well as gingivitis and gum disease prevention. The innovation of the Waterpik Showerpik Water Flosser lies with the fact that it attaches easily to an existing fixed mount or hand held showerhead and with a smart two-way chrome diverter allows water flow either from the showerhead alone, or though the shower together with the water flosser. This way you may conveniently water floss while you shower completing a hygiene ritual without making a mess by spraying water all over your bathroom. And since there is no reservoir as the Showerpik provides an unlimited water source, there is no need for constant refilling. The Showerpik can be easily attached to an existing shower wall pipe. It can be installed within minutes and the two-way diverter fits on most showerheads. This irrigator is found to remove almost all plaque film from an area treated for up to 3 seconds. Clinical trials show that it is 50% more effective in improving gum health than regular dental floss and up to 80% more efficient than Sonicare Air Floss. It is easy to use and very convenient as it makes no mess and takes up no countertop space. And of course there is no need for water refilling, as it is directly connected to the water supply. As with all Waterpik products, it comes with a two-year warranty, a full quick start guide, an instruction manual, as well as detailed installation instructions. The Waterpik Showerpik WP-480 competes directly with the Oral Breeze ShowerBreeze, but is the more mechanical and technical option. It has a good 4 star out of 5 rating on Amazon, with more than half of users giving it a perfect rating. There are some people who note leakage issues and a short-life span, just so you’re aware of all the possibilities, but they are certainly in the minority. Like all Waterpik products, this is an excellent unit to buy if you want the convenience of being able to floss in the shower. 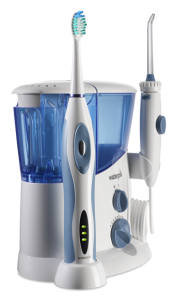 The Waterpik Complete Care WP-900 is a new Waterpik product which offers full domestic oral care. 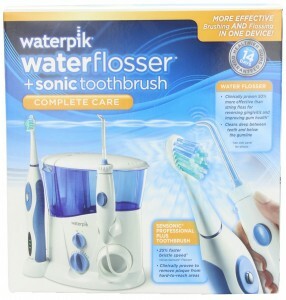 It combines all the advantages of Waterpik water flossers with a sonic toothbrush. It is found to be 70% more efficient than Sonicare FlexCare. All oral health needs, flossing and brushing, are met through one simple, easy to use and effective device, which saves countertop space and energy. It is also found to be much more effective than Sonicare Air Floss and regular, traditional flossing in plaque reduction and in fighting gingivitis and gum disease, as it has been proven to remove nearly 100% of plaque film from areas that have been treated. As mentioned above, studies have shown that Waterpik Complete Care is up to 70% more effective in keeping your gums healthy than Sonicare FlexCare. It is also clinically proven to be up to 52% more successful than Sonicare FlexCare in removing plaque. It is of utmost benefit to individuals wearing braces and other dental work, such as implants, bridges, crowns and periodontal pockets. Other benefits of the device include leaving your mouth clean and healthy, and giving you wonderfully fresh breath. The company guarantees healthier gums in two weeks, and with Waterpik, you know that’s a serious guarantee. It also comes with 2 sensonic brush heads, 1 standard brush head, 1 compact brush head, as well as a premium toothbrush travel case. The brush heads have very soft, rounded-end bristles. The device has a modern, compact design. It has a high-volume, covered reservoir with 90 seconds of continuous flow of water (or a mouthwash mixture, if you prefer). It has a covered tip and brush head compartment which holds five accessories, for hygienic storage. Other features of the product include an advanced pressure control adjustment system with ten pressure settings, a deluxe recharge indicator guage, a two-minute timer, a dual speed handle control and a 30-second quadrant pacer. It comes with a two-year warranty, a complete quick start guide and owner manual. The benefits of the irrigator are most evident when reviewing relevant research. The WP-900 was clinically proven to be up to 3 times more effective than regular dental floss when used around braces with the orthodontic tip. It reaches below the gumline, where traditional brushing and flossing can’t reach and removes bacteria from deep between the teeth. Laboratory tests have shown that it removes up to 99.9% of plaque from areas treated with just a 3-second application. It massages the gums, too, improving circulation and reducing bleeding. 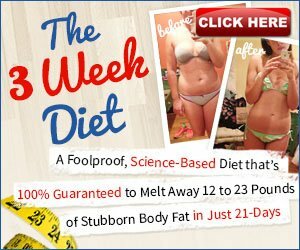 This excellent product has over 200 Amazon customer reviews and an amazing 4.5 star rating. 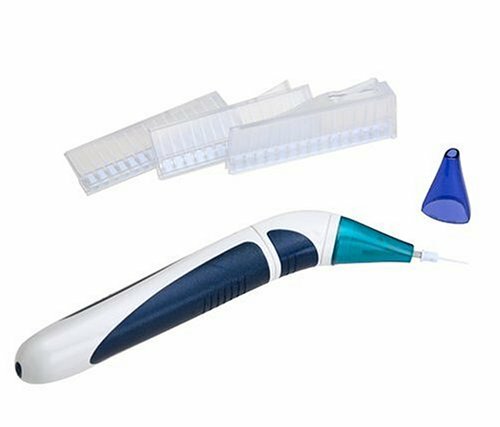 Considering it is not only a water flosser but a sonic toothbrush, the price is also a major bargain, especially if you buy it through Amazon. Only about 5% of the reviewers gave it less than a 4 star rating. We can’t think of any reason not to recommend this as one of the best products available to you for improving and maintaining your oral health. 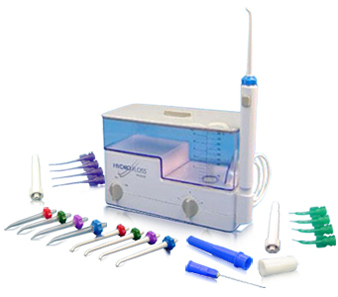 The Hydro Floss water flosser is a new generation irrigator, which introduces hydromagnetic technology. The company claims that it is a high quality product and the most effective home oral treatment of its kind, so let’s have a look at how it really performs. As recent research suggests, oral health is correlated to a number of life-threatening conditions, such as heart and lung disease, stroke and diabetes. So, maintaining a good oral health is vital for everyone. Hydro Floss is complementary to brushing in achieving an optimal oral hygiene. It removes plague and food debris from hard to reach areas where brushing and regular flossing cannot reach. It can be used on any kind of dental work, such as periodontal pockets, implants, crown and bridge work, veneers and orthodontic appliances. It is also very effective in cases of bleeding and inflamed gums, as it reaches below the gumline flushing bacteria away preventing gingivitis. Its innovation lies with hydromagnetics, which it is claimed to make it twice as effective in comparison to other water jets. Hydromagnetic oral irrigation works by treating the water magnetically. By doing so, the ionization process is affected. This way the tension of the surface is reduced. As a result, the ability of the bacteria to attach to the tissue and multiply is inhibited, thus the formation of plaque film is prevented and tartar is unable to build. Clinical studies have shown that the product is much more efficient in inhibiting bacterial formation on the teeth’s surface, than non-magnetic water flossers. More specifically, two studies have been published at the Journal of Clinical Periodontology, showing Hydro Floss to be from 44% up to 64% more effective than non-magnetic irrigators. The dimensions of the main unit are 8.25″L x 4.00″W x 5.00″H. It has an 800ml water tank with volume indicators to measure mouthwash and medicinal solutions. It comes with a pack of 4 color coded holder tips. It has a pulsating stream of a maximum of 1200 pulses per minute and pressure can be adjusted to personal needs and preferences. The device offers a maximum pressure of 60 psi. This was tested and found to be safe on gum tissue. A pause flow button on the handle adds to its convenience. It offers a 30 day money back guarantee, as well as a 1 year limited warranty with additional options. Although Hydro Floss seems to be a good deal, it is probably one of the most expensive oral irrigators. This doesn’t mean you shouldn’t get it, naturally, only that it is at the top of the market. Having over 175 reviews on Amazon, Hydro Floss gets a very good 4-star rating. 15% of the dissatisfied customers report poor manufacturing and quick failure, a fact that comes in contrast to its price. Others reported a number of different problems, such as leaking problems, inconsistent flow, low pressure, taking up too much countertop space and sanitary considerations. However, as with all products at the top of their market’s price range, people judge these based on flawed expectations, sometimes. We just want to be sure we are providing you with all the necessary information to make the best decision for your oral health. The majority of users who reviewed the product are happy with their choice, however and report that since they added Hydro Floss to their daily routine it has made a big difference in their oral hygiene. RediBreeze is an oral irrigator manufactured in America by Oral Breeze, a veteran owned company. It is an appliance to be used over the bathroom sink without the noise and bulky water tank of an electric flosser. No one will hear you using it. It is neatly placed beside your faucet, taking up almost no space at your countertop. 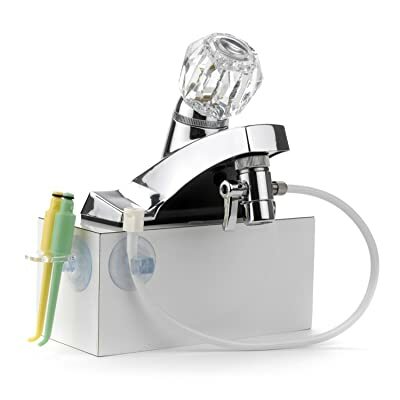 It is an oral irrigation system permanently attached to the faucet. It works with water pressure, therefore offering the aforementioned advantages. It is always there, ready to be used. It offers everything regular electric irrigators have to offer. It is highly recommended for people wearing braces and other dental work, as it dislodges food debris from hard to reach places, as well as between teeth, giving you a fresh breath. It is also ideal for periodontal pockets, as it gets under the gumline. It clears lose plaque preventing it from forming tartar, which can only be removed by oral care professionals. It is great in fighting gum disease and bleeding gums. It removes bacteria attached to gum tissue to assist healing, without hurting the gums, since irrigation pressure is regulated simply by adjusting the pressure of your faucet. The RediBreeze package consists of a female attachment and a brass M/M adaptor which fits almost all faucets (standard US plumbing 15/16″- 27×55/64″-27 inside/outside thread, 13/16 with included adapter). Continuing with it’s incredible commitment to custom service, the company encourages potential customers to make contact in case of a specialty sized faucet adaptor. We’re glad to see Oral Breeze continues to be an amazing company with great products (check out our reviews of the QuickBreeze and the ShowerBreeze). A chrome plated brass valve comes between the faucet attachment and the hose holder. 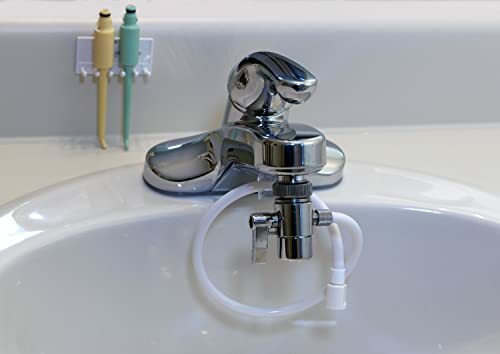 The valve allows you to switch between Redibreeze and the faucet operation, quickly and effectively without detaching the hose holder, making the device particularly convenient. It includes a 24’’ hose ending in a tip holder, as well as two same size dentist-recommended fan spray tips (one green and one yellow). There are replacement tips available in the market. The RediBreeze irrigator has a long life expectancy, as its valve is constructed of chrome-plated brass, preventing it from leaks and wear. It comes with detailed set up instructions and usage manual. The installation does not require any tools. 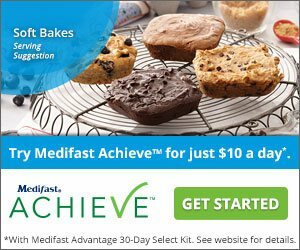 It has a manufacturer’s 30-day money back guarantee from OralBreeze. The company also provides customers with an 800 help line to answer questions regarding installation and/or usage. The product has over 400 customer reviews on Amazon and a 4.5 star rating. Over 300 satisfied customers gave it a 5 star rating for being compact, simple and easy to use. Water temperature and pressure can be easily regulated through the faucet. Most praise the fact that it takes up very little space. Many also refer to it as ideal for children. However, a small percentage is dissatisfied with the fact that is does not provide the opportunity to use mouthwash or other solvents with it (if you get a unit with a water basin, you can mix in or add these things). Most remaining complaints have to do with installation issues and the fact that the adaptor comes off rather easily. Nevertheless, the product overall seems to be a good, inexpensive alternative to bulky, electric water flossers. Dental care professionals seem to view OraTec oral irrigators favorably as they are often recommended by dentists. ViaJet Pro is one of the most popular irrigators produced by OraTec. It is specifically designed for deep, subgingival irrigation. Its optional deep pocket attachment is an ultra slim tip that is long enough to reach under the gums and water floss down to the base of the deepest periodontal pocket. At the same time, it offers all the benefits of standard oral irrigation. It can thoroughly clean all the tight spaces between teeth and under the gum line where a toothbrush and regular dental floss cannot reach. It removes bacteria causing plaque, as well as decaying food residue and debris before it develops into tartar. It massages the gums improving blood circulation, preventing gingivitis and periodontitis. It is suggested that everyday use of the ViaJet Pro irrigator is 50% more effective than toothbrushing alone, making it an essential tool for healthy teeth and gum maintenance. 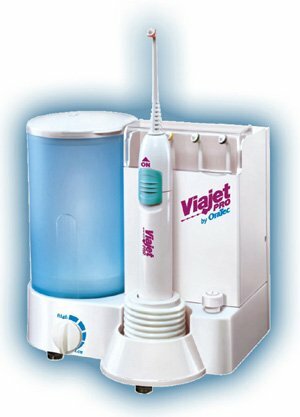 The popularity of the ViaJet Pro model among dentists is partially due to the fact that it is reliably constructed using the same water pump OraTec installs in models used by professionals, without raising the cost of the appliance. The unit supports any irrigation solution, besides solutions that can corrode plastic materials, though I’m not sure why you’d be putting that in your flosser to begin with! Together with a number of original features and a new exterior design, the unit is a high quality dental care instrument. The unit comes very highly recommended for orthodontic patients wearing braces. It works great in removing particles of food lodged in those places that are hard to reach. It is also recommended for gingivitis and periodontitis patients as it reaches deep below the gum line with the use of the specialized attachment. This is an optional, long and ultra slim adaptor. The basic Interplak comes with a total of four tips, two standard and two rubber tips. They are color coded in order to be distinguished by family members. They can be stored in the transparent flip-top tip storage lid. The unit also offers a fingertip handle control with an instant on/off button, as well as a slider which ensures precise water pressure control – offering anything from a full stream to dribble. The water pressure can be adjusted infinitely, with setting from high through low. That is, 1,200 water pulses per minute through a delicate spray for inflamed gums. The tip storage is conveniently placed over the reservoir. The reservoir has a 500 ml capacity and is almost break-proof. It has variable measuring lines for conveniently mixing water with antimicrobial agents and irrigation solutions. 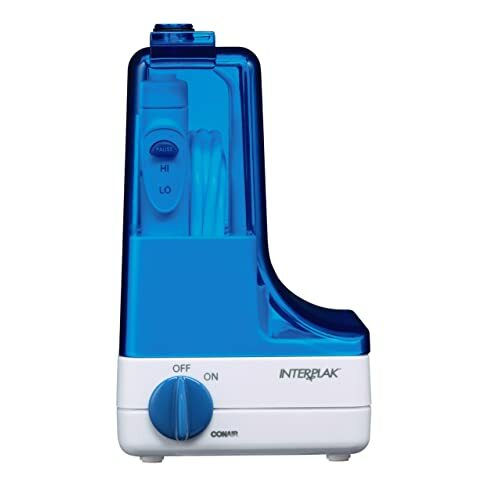 To add to its practicality, the Interplak water flosser has a wall mount option saving valuable countertop space. On top of this, it has internal cord storage to avoid excess cord lying around. The ViaJet has an incredible 4.4 out of 5 star rating on Amazon, with most of the people who bought and use it claiming that they are very happy with their purchase and they mostly comment on efficiency and durability.